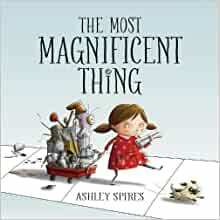 Collect all of Ashley Spires's picture books! You'll love these irresistible, quirky characters and laugh-out-loud stories. Everyone Loves The Most Magnificent Thing! "Precisely the kind of book we need for kids these days." — Kirkus Reviews, Starred Review. — New York Public Library. Start reading The Most Magnificent Thing on your Kindle in under a minute. This story was so moving. 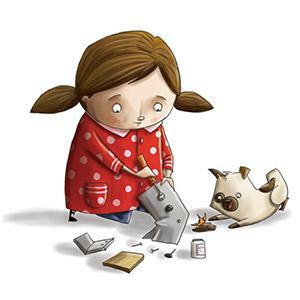 The message was lost on younger students (PreK, K, 1st), but the ones who were a little older or more mature really understood the message that you don't have to be perfect or do everything perfectly to somehow make all the right pieces end up in just the right spot. It was uplifting to remember that it's okay to let things go sometimes, and the world will continue to support you somehow. 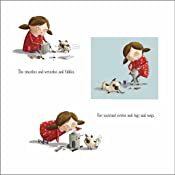 The Most Magnificent Thing is picture book worth reading time and again with our children even for us adults when we lose perspective. It sends the perfect message to the reader about not giving up and looking at the problem from a different point of view. Just set back and recharge before tackling a difficult problem that is stuck. I was pulled into the book with the cover and blurb and immediately requested it. The book is not just a story about making something but learning as well. 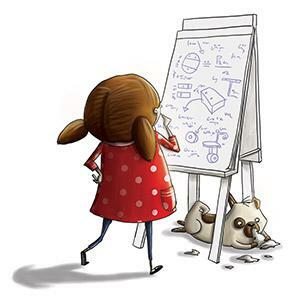 The girl tries to invent something, tinkering and planning as she goes about her task. 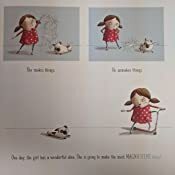 Learning and play along with reading make a delightful trio in this book, The Most Magnificent Thing. It is a simple story that can be a good guiding and motivating book for small children. 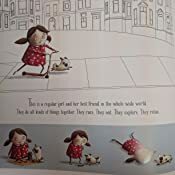 I sat and read it to my son and we read it twice and talked about the pictures and all the little changes and activities the little girl was doing. 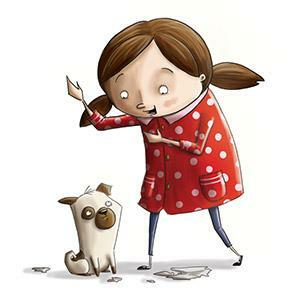 Her cute, silly dog made the story funny and endearing. 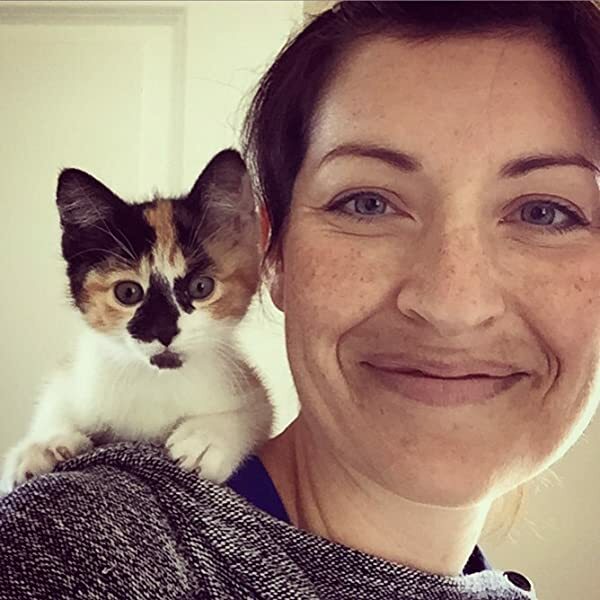 The furry assistant sure made a lot of things easy. Only now, my son is asking for his own assistant so he too can build ‘magnificent things’. The illustrations are spot on making it a delight for the younger kids to read as well. The pictures of the ‘magnificent thing’ they are making and its different version was a fun clue to figure out. We played the game together to try to find the exact thing they were making. 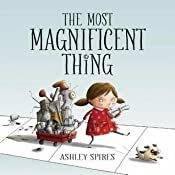 The Most Magnificent Thing has excellent narration and language and teaches a child and adults about creativity, challenges, and not giving up. 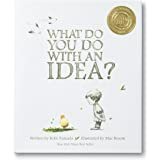 Often we are told to ‘take a break’ or ‘see things from a different perspective this book shares all this wisdom in a simple and rather cute manner. A fresh, funny book full of wisdom. A perfect pick for an ideal gift book as well. 4.0 out of 5 starsGood buy! I'm happy with the Most Magnificent Thing. I bought the book for my 2yo daughter who loves to read. My daughter is becoming more aware of building, her imagination and her emotions. I think this story illustrates all these things so well. My only critique is that I went with hardcover vs board book because my daughter does so well with not destroying books, most of the time. However, the hardcover is a large square book. I think a board book would suite her toddler fingers better for toting the book around the house. Overall, a good buy. I'm surprised that my 2 year old likes this book so much. It has a fair amount of words for that age so I just adapt it to his attention span at the moment, but he loves the "crunch"-explode page. I'm sure he knows just what she's feeling! I love the message and find myself thinking "it wasn't her finest moment" before i explode myself! Love this book. 5.0 out of 5 starsGREAT kids book! One of my favorite Thomas Edison quotes is "When you have exhausted all possibilities, remember this -- you haven't." He could have been speaking of this little girl. 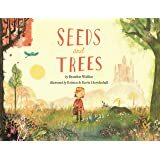 Child-friendly language and charming illustrations are a perfect combination in this story of hope, perseverance, and hard work as a little girl endeavors to create the most magnificent thing. She fails more than once, even becoming so frustrated that she gives up. But determination wins the day when she takes a look at all her "failures" and discovers each has an element that is just right. 5.0 out of 5 starsFor All Perfectionists Everywhere! I really enjoyed this book, both the writing and the illustrations. 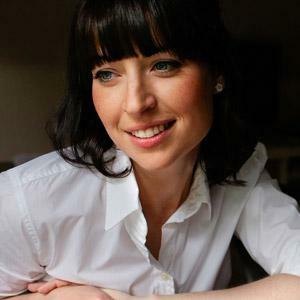 The author totally nailed the frustrations of being a perfectionist. As I read, I hoped for that moment when we fall into a puddle of tears, convinced we just. can't do. it. It is always from there that Glory comes calling! The author did not disappoint! The illustrations are delightfully whimsical and successfully work together with the text. I highly recommend this book via Kindle or print. 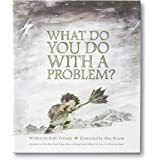 This is one of my favorite read-aloud books to read to 2nd graders! I love how the journey the main character goes on trying to create the perfect thing she visualizes, and how she realizes all her mistakes along the way were something others were looking for. This is a great book to read to kids about mistakes!